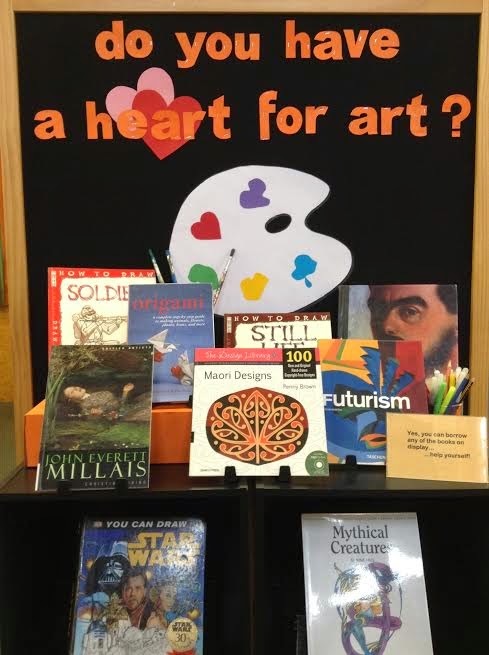 Library Displays: Do you have a heart for art? Do you have a heart for art? We have an amazing selection of art books in our library which I wanted to promote to our students again. Here is a quick display to do just that! Many thanks for all the inspiration you share on your blog. It gives me great ideas for my own school library.